Dr. Marcia Meyers joined the School of Social Work faculty in 2001. Her research focuses on public policies and programs for vulnerable populations, with a particular focus on issues of poverty, inequality and policy implementation. She is the former director of the West Coast Poverty Center. Her current research projects examine state policy regimes in the United States and their implications for economic security, particularly in the wake of the Great Recession. She has collaborated with researchers at the Rockefeller Institute of Government studying the front-line delivery of welfare reforms in 11 sites around the country, and, with colleagues at the Social Indicators Survey Center, conducting a bi-annual survey monitoring the economic and social wellbeing of New York City residents. Dr. Meyers has received funding for her work from the U.S. Department of Health and Human Services (Child Care Bureau and Office of the Assistant Secretary for Planning and Evaluation), the State of California Department of Social Services, the MacArthur Foundation, the Russell Sage Foundation, the Public Policy Institute of California, the Ford Foundation, the Foundation for Child Development and other leading organizations. With colleagues from the West Coast Poverty Center, she recently co-edited a volume examining major social welfare programs in the United States, Old Assumptions, New Realities: Ensuring Economic Security for Working Families in the 21st Century. She is also co-author of Families That Work: Policies for Reconciling Parenthood and Employment, and her papers have appeared in the Journal of Policy Analysis and Management, Journal of European Social Policy, Social Service Review, Journal of Public Administration Research and Theory, Social Science Quarterly and Demography. 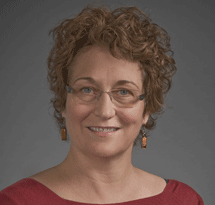 In addition to her doctorate degree, Dr. Meyers holds a master of social welfare from the University of California, Berkeley, a master in public administration from Harvard University, and a bachelor of arts from Evergreen State College.